Honda SIEL India Launched 2012 Honda City in India in December 2011 at an ex-showroom price starting Rs. 6.99 Lakhs ex-showroom Delhi for the newly added corporate variant. At the time of the launch, Honda launched the automatic version only with the Honda City V trim which is the top end trim which came with and without Sunroof. 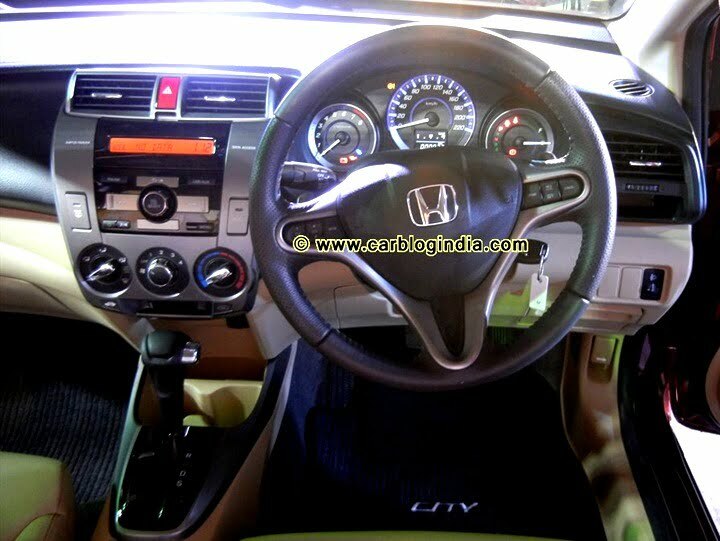 In a few months after launch, there were few price revisions in the Honda City which makes the base variant about Rs. 26,000 more expansive than its introductory price of Rs. 6.99 Lakhs. Also see : [Video] What Is New In New Honda City 2012? 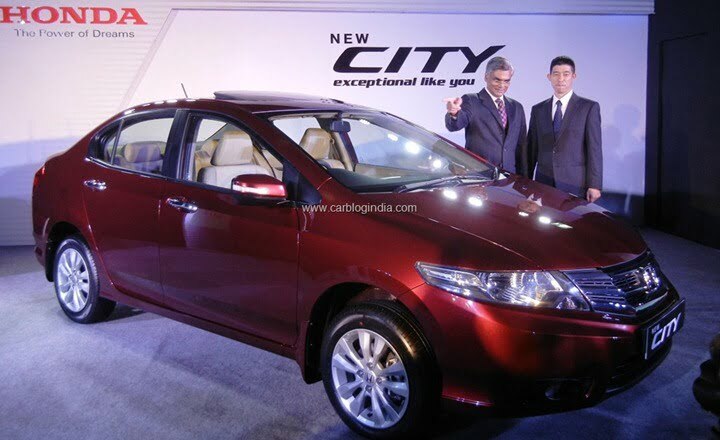 Now almost after 9 months of the launch of new City in India, Honda Cars India has introduced the mid level trim 2012 Honda City S Automatic with an automatic transmission option. The trend of a mid level trim automatic transmission in India is gradually becoming popular. Not only the customers who want a fully loaded variant, but also the customers of mid-variants are seeking a high value for money car which offers the convenience of the automatic transmission without spending too much to get the top end model only. Prior to Honda City, Skoda has launched its rapid with mid level automatic variant and Ford India has launched the 2012 new Fiesta with an automatic transmission in India. Placement of the mid level automatic transmission cars which are comparable in price to top end manual version gives buyers a choice to spend more on convenience than getting some extra features within their budget. Some of the USPs of 2012 Honda City S Automatic is the paddle shift transmission system which paddles behind the steering wheel to take manual control of the transmission in case of a quick overtake or maneuver where the driver wants more punch out of the car. Apart from this, the frugal and rev-happy 1.5 Litre MPFI engine of the City offers impressive 118 BHP of power and 145 Nm of torque along with sharp handling and great driving dynamics of City. The exteriors of the City are one of the best in its segment. In terms of fuel mileage, the 5 speed automatic transmission is expected to give a real world mileage of close to 12 KMPL which is comparable to most other automatics in this segment.